Boys and girls, wait ’till you get a load of this one! In two days time we are having a FABULOUS event with NUXE who will be celebrating the launch of NUXELLENCE (blog to come later!) 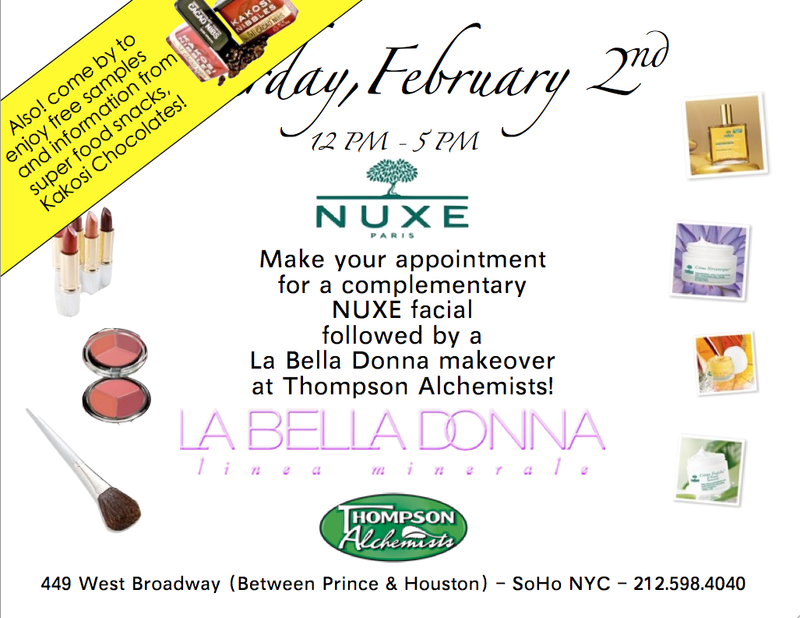 and an amazing cosmetician will be here from mineral-based makeup line, La Bella Donna, and she will be offering complementary make-overs and information about how to look your best with LBD! As if that wasn’t enough, representatives from Kakosi will be here handing out their delicious AND healthy chocolates whilst telling you everything you could ever know about the miraculous cocoa bean.